Thanks for downloading MOVEQ+ so many times!!!! I’m so sorry, that I realized 1 year after first release of a ‘final’ version, that dsp-distribution wasn’t optimal. That could cause problems when using MOVEQ+ in my MOVamily-MS-processor. Here comes the optimized versions 8 & 4 inluding the CUT-versions. 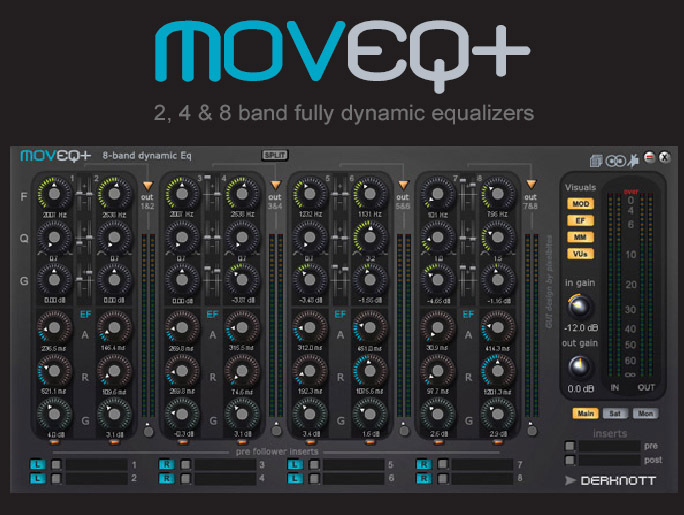 2-EQ-version was O.K. with dsp-distribution. In the zip you’ll find a little present to dry the tears. I call it “M-EQ-S”. It’s a very simple but nice device, I think. P.S. As with any of my freeware devices which are in a way never-ending-betas I do not give any guaranty for anything. Try on your own risk!